DAVAO CITY, Philippines (Mindanao Examiner / Apr. 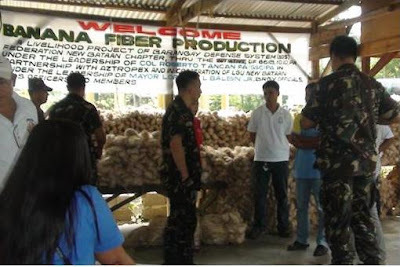 19, 2011) – Southern Philippine officials praised the military for its peace and development efforts in the region and vowed to continue supporting various program aimed at providing livelihood programs to civilians. In New Bataan town, Mayor Lorenzo Balbin was quoted by the Army’s 10th Infantry Division as saying that the cooperation between the local government and the military resulted in good partnership among the villagers and soldiers. 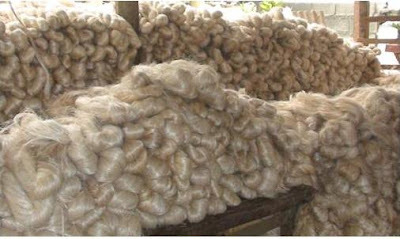 Just recently, the so-called ‘peace and development volunteers’ in the town finished a livelihood seminar on banana fiber production and were able to sell over P60,000 worth of products to Japan through the Banana Fiber Production Industry. The seminar was made possible through the 66th Infantry Battalion which coordinated with AZTROPEX, an international exporter of banana products. “This is the result of cooperation and understanding between the local government unit of New Bataan and the Armed Forces of the Philippines. We are thankful for the partnership that we have with the 66th Infantry Battalion and now we have nine villages that had been provided livelihood projects,” the mayor said.